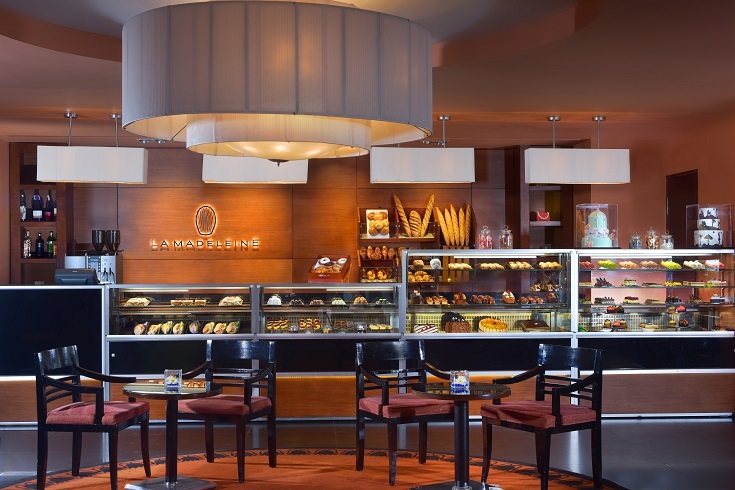 Just off the lobby, discover all the delights of a French pâtisserie in Cairo. 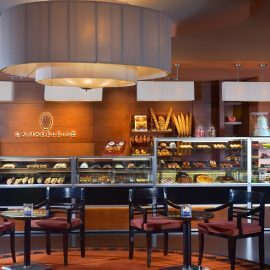 Serving Nespresso coffee, gourmet macarons and mouthwatering pains au chocolat, Cairo’s most authentic French café is the perfect place to enjoy a morning coffee or select a snack to take away. If you are hosting a wedding or attending a family celebration in Cairo, be sure to stop by La Madeleine. Our skilled pâtissiers make impressive celebration cakes in the best French tradition. Treat your friends and family: order a croquembouche for a wedding, a special gateau for a birthday or a selection of macarons for a family treat.